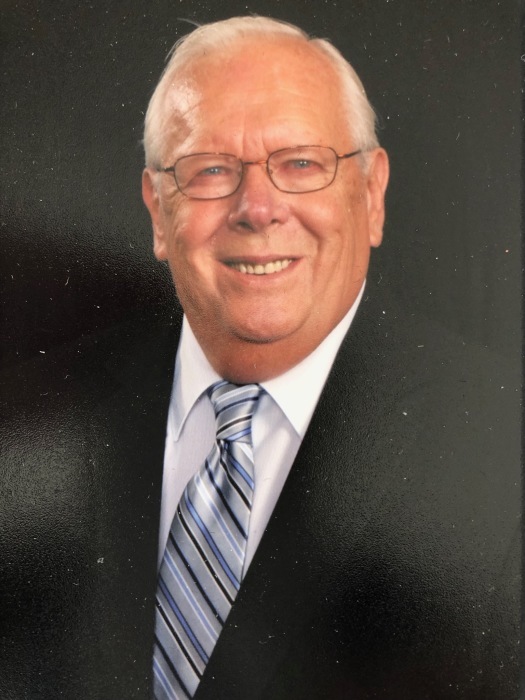 James "Jim" D. Thomas, Sr, born April 19, 1939, passed away January 20, 2019. Loving husband to Theresa Thomas (nee Pular,) dear father of James and Kara Thomas and Christine and Thomas Breitenbach, cherished grandfather of Kaelyn Thomas, Alayne Thomas, Maren Thomas, James (Trey) Thomas lll, Joseph and Kelsey Breitenbach and Jim Breitenbach, son of the late George and Estelle (Siennicki) Thomas and brother of Richard (and the late Carole) Thomas and Gerald (Marilyn) Thomas. Jim loved his wife, family, cousins, and friends. A visitation will be held at St. Susanna Catholic Church (616 Reading Road, Mason, Ohio 45040) from 10:00 - 11:00 AM with a memorial mass to follow beginning at 11:00. In lieu of flowers, please celebrate Jim's life by taking someone to lunch.